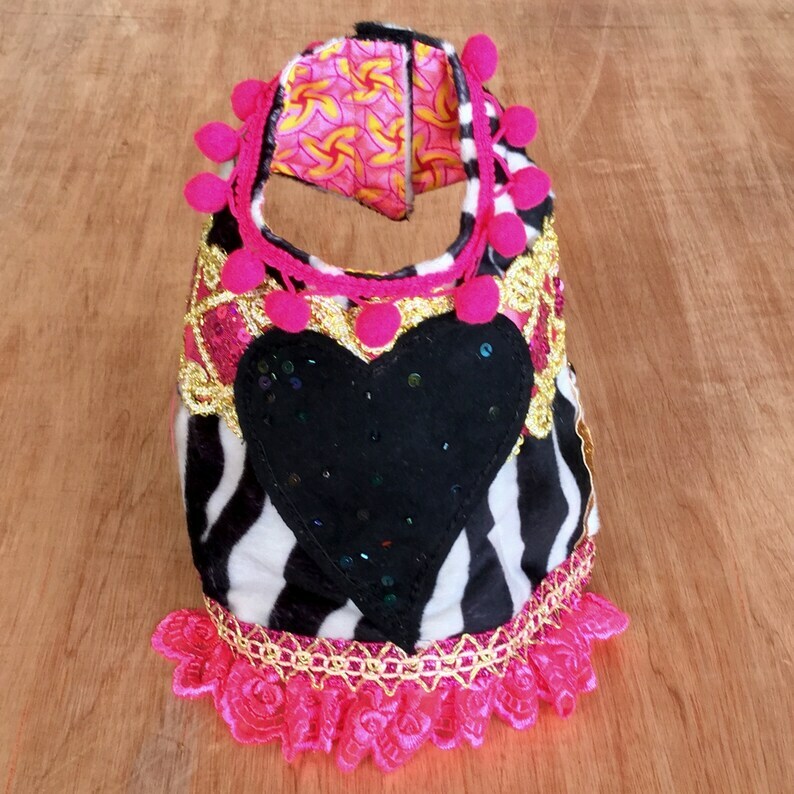 Gypsy Ibiza style dog coats for small dogs. 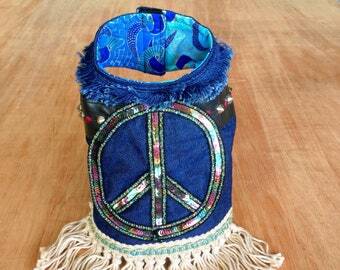 Gypsy Ibiza dog coats for small dogs. They protect your little four-legged friend not only against the cold, but are also super hip! These Boho dog coats are made of colorful fabrics and all have beautiful applications on the back! 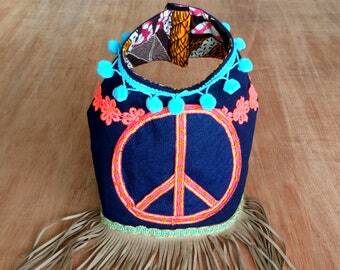 For example a Hippie Peace sign, a heart or a beautiful flower. The dog suits are all embellished with colorful band, frills & ruffles and the lining is made of beautiful colored fabric with a cheerful pattern. 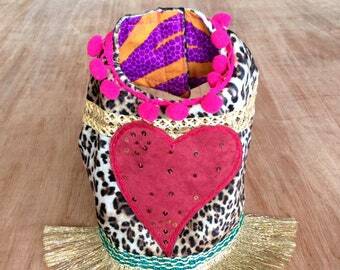 Now your puppy can also participate in this Gypsy Ibiza Boho trend. All these dog clothes are handmade and unique! So there is little chance that you will encounter a dog with the same jacket in the park when you are walking. And that is of course also a nice extra. The dimensions of the jackets are 40 cm for the waist circumference and 30 cm for the neck. The back length of the jacket is 15 cm and this without the fringes or ruffles of the jacket. The dog jackets can perfectly be combined with your own collar and belt. They close with Velcro on the belly and in the neck. On the pictures you see my dog ​​wearing a jacket. It is a Bolonka Zwetna, a small kind of little Boomertje.